Apple has put forward a second round of design plans for its Federation Square store in Melbourne. Refreshed designs released today come after a series of design workshops involving Federation Square Management, the Victorian Government, Melbourne City Council and Apple. 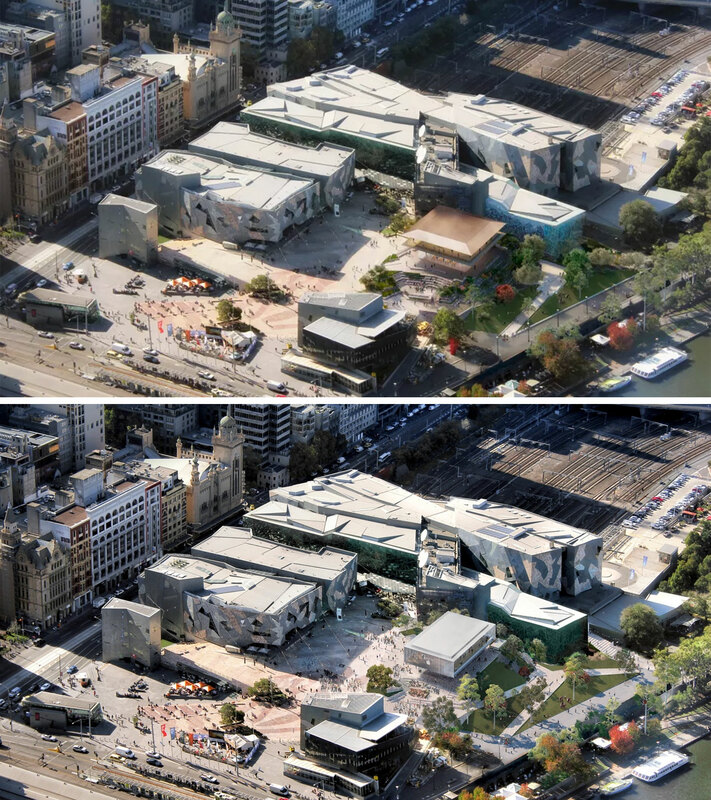 The Victorian government’s initial decision to demolish the Yarra Building which houses the Koorie Heritage Trust to make way for the flagship store drew wide-spread backlash. Lobby group Citizens for Melbourne campaigned against the store, collecting more than 100,000 signatures opposing the development. However, the Apple flagship store had the support of Federation Square’s original architect Donald Bates of Lab Architecture Studio and Victorian government architect Jill Garner. 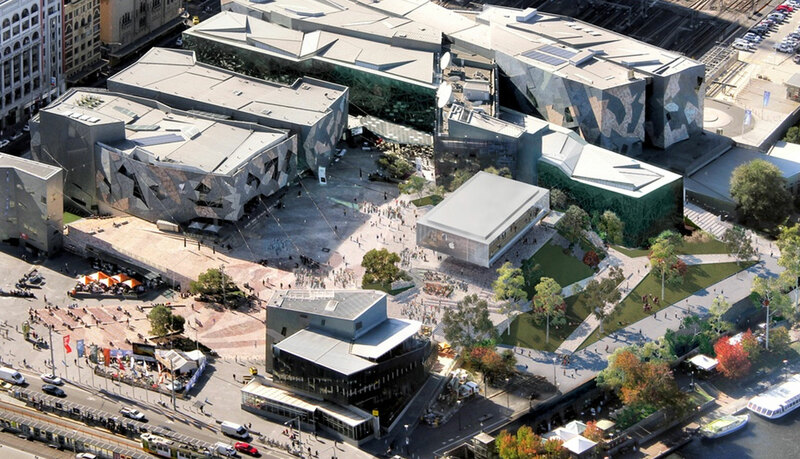 “The Apple Global Flagship Store is consistent with and contributes to, Federation Square’s Civic and Cultural Charter, which recognises Melbourne’s pre-eminence as a centre for creativity and innovation,” Federation Square chief executive Jonathan Tribe said. Apple has promised to run free daily workshops – classes on design, coding, music and art are part of the program. “The free program provided by Apple will help to inspire and educate Victorians of any age, cementing Melbourne as the nation’s cultural and tech capital,” a statement released by the Victorian Government said.